I’d like to thank Gregg Carter from The Rural Homestead for sharing his AMAZING post titled Faith On The Homestead – The Parable Of The Sower. I encourage everyone today to read this post and think about it! As Gregg mentioned and the parable shares, everything we do and say has an effect on the world around us. God wants us to be a light to others – a positive light! Gregg I really appreciate you sharing this and it does my heart good to see so many starting to share their faith on their websites! More now than ever we need to share our faith and by example make others want what we have!! Sowing the seeds right now is important and sharing God’s grace can change lives – one smile at a time – one post at a time…. Awesome stuff Gregg!! Blessings to you and yours!! Are we sowing positive seeds? Are we being a positive influence in the world around us?? 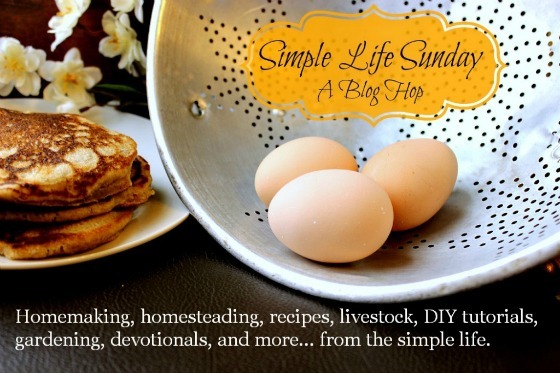 I would also like to thank Marie from Just Plain Marie for sharing her post titled Defining Homesteading. I really enjoyed this because she and I are living very similar lives and I loved how she shared things. I’d would also like to thank Krystyna from Spring Mountain Living for her DIY posts this week titled DIY Kitchen Island And Cutting Space (my make shift cupboards have painters canvas as doors and my island has a crocheted table cloth attached to the sides) and her ingenious post titled Your Child Has Out Grown Their Car Seat, Now What? Thank you for sharing and I would like to invite you to join Kat’s Sunday Social (our sister hop). For those of you with young children or grandchildren looking for good quality books and movies, I suggest you check out the two posts shared this week by Positive Inspired Living. I also enjoyed the post by Idlewild Alaska with her post Chickens are the New Black – Why You Need To Have Chickens (I totally agree!). I would also like to thank Salixisme for sharing her post titled Do You Like To Colour?. I absolutely do and I LOVE creating my own drawings similar to those 1st pictured in your post and then coloring them and I do the same on rocks, not just paper… It is SO incredibly relaxing and more people should definitely do it…. Thank you also Stephanie from Stephlin’s Mountain for sharing her post titled Life Is Good – So What Am I Afraid Of? I think this is a great post because I believe that all of us go through this thought process from time to time – I have learned to catch myself and spin it around – typically for me, when that thought enters it is because I am doing God’s will and the devil is trying to hijack my excitement or confidence. I have learned to laugh at his attempt and keep doin’ what I am doin’…. I’d like to take the time today to share with you my favorite Christian Fiction Author – Cathy Bryant. I had an amazing interview with her last week (stay tuned to listen in on the 29th of April) and I feel so nudged to share her with you. Her books are dangerously wonderful – I need to plan to start her books because once I start I can NOT put them down to save my life and just keep reading and reading and reading!! They are POWERFUL, addicting and worth every second of your time. Be sure to check out ALL of her books and her book Crossroads that was released the beginning of April is on Amazon right now for a mere $.99 as are several of her other books. I promise you – you will be touched deeply by her books, taken to an amazing place that you can clearly envision and be ready to embrace her next book…. We had an amazing week here in Idaho and God has blessed us in SO many wonderful and amazing ways! Honestly, Reflecting on this week completely takes my breath away. If you are like we are and are working towards something big and you run into those little bumps, hick ups and derailments from time to time, I would like to encourage you to hang on and remember that things happen in God’s timing, not our own!! Most often than not, when people give up and throw in the towel – there were just a hair away from succeeding and just lost their faith…. I would like to encourage you to keep doing what you are doing… I would like to remind you that YOU are special and YOU have a purpose… Place your FAITH in the Lord and allow him to continue to share his GRACE in his timing… Wait on him and listen…. Through tear filled eyes, I would like to thank Michelle of MichelleNehrig.com with her great contribution to SLS this week with her post titled Nature or Nurture?. We learn SO much from our children and they too are learning from us ALL the time…. This is a FANTASTIC post and I could tell you stories upon stories of similar situations that the Mountain Boy and I have conquered together over the years. He has a tender heart like Michelle’s children and I am humbled all the time by the intentions of his heart and his actions in how God made me the teacher and how blessed I am that the Mountain Boy was learning more from my actions than my words. Children are the silent learners, constantly over our shoulders taking EVERYTHING in so as Michelle pointed out that our hearts, actions and examples never go unnoticed so be sure that ALL of the above are set in the example of God’s word and not of ourselves!! May you not only be a light to your children, but to SO many around you and may you bless lives with your kind, thoughtful and heartfelt gestures!! We are to be a light and remember to let your light shine no matter where you are!! Blessings to you and yours Michelle and THANK YOU greatly for sharing!! I would also like to thank my dear friend Krystyna of SpringMountainLiving.com for sharing her post titled Cut The Cost Of Family Fun – 5 Thrifty Activities. I LOVE doing just as Krystyna suggests… Using our imagination with our children to create memory making moments vs spending money on things that won’t be nearly as remembered!! Additionally we are nurturing our children’s creative side and providing them with an imagination that will get handed down because it will be something that surely leaves a positive memory… Take time with your children and be creative!! Thanks lovely lady Krystyna for stopping by and sharing – blessings to you and yours! I’d like to just pause and THANK YOU ALL for participating each week! We have fantastic shares each week that benefit our audience greatly! I’d like to thank Tammy Taylor of Taylor Made Farm for sharing her post title The Ripple Effect and Make Your Own Thousand Island Dressing. I am a true believer that we make a HUGE impact in the people we touch whether in person or online! It matters greatly to me what kind of impact I have so I am constantly focusing on Paying It Forward with kindness, love and care! Making the difference in the life of another could sometimes be a life and death situation that you may not be aware of… Every person you come in contact with has a story, a story you may never know, BUT one you could play a role in improving! Make a positive difference…. ♥ Additionally, I LOVE making my own EVERYTHING, but especially salad dressings and condiments!! Thanks Tammy for sharing each week and may you and yours have a blessed weekend!! I would also like to thank Kelly from Simple Life Mom for sharing her post titled How and Why You Should Be Making Ghee. This is something we enjoy also and the benefits are endless. Kelly your post was very informative and I like to share as much as we can for those trying to eliminate dairy. We are able to utilize our goats milk for the Mountain Boy in place of dairy with great success because the milk fats are so different, but one thing you mentioned that put a smile on my face was using the baster to get the cream off the top!! How ingenious and a BIG thank you!! Thank you again for sharing and may you and yours also have a blessed weekend!! May your upcoming week be amazing and may you touch the lives of many!! Thank you all for your prayers!! The Mountain Boy ACED his driving test on Friday and he and I had a wonderful week driving in town everyday so he could get a lot of practice in. I was EXHAUSTED!!! I think ALL those trips to town did both he and I in!! We have recovered and he was SO excited to have passed on his first try and to be an official licensed Idahonian! Then I got to switch my attentions to my Mountain Man who celebrated his birthday yesterday on the 4th as well as our anniversary!! We spent the day as a family out hiking, dinner just the two of us and a night’s stay in our family built log guest cabin which was SO nice and SO relaxing! I am blessed to be married to my Best Friend and it is hard to believe that 5 years have passed so quickly! Here is a little something I shared on Facebook in regard to my thoughts on a healthy marriage…. 25 For husbands, this means love your wives, just as Christ loved the church. He gave up his life for her. 33 So again I say, each man must love his wife as he loves himself, and the wife must respect her husband. This is an important aspect of marriage and a dynamic that when followed and when respect is mutually given a perfect marriage is formed…. We are not perfect, but we mutually respect one another and are best friend’s. I encourage you to put your marriage first and your spouse!! The rewards are AMAZING!! Thank you all for sharing your posts last week… What a great variety of posts!! I was drawn specifically to Rhonda Crank from The Farmer’s Lamp with her post titled The Farmer’s Lamp Readers Share Their Stories. Have any of you ever read the Reminisce magazine? I LOVED Reminisce because of the place it took me. All those wonderful shared stories from a time past – a time that I felt I belonged in! I love being able to listen to people’s stories of times past and sharing in their excitement as they share! Being able to make our own lifestyle here in the wilderness makes me feel like we are so close to those times and it does my heart good! I would LOVE to have you share your own personal stories below today as well as your posts…. Please feel free to take over my comments below and share away…. I would also like to encourage you to read Gregg from the Rural Economist‘s post titled Life Lessons with Ants and Bees. 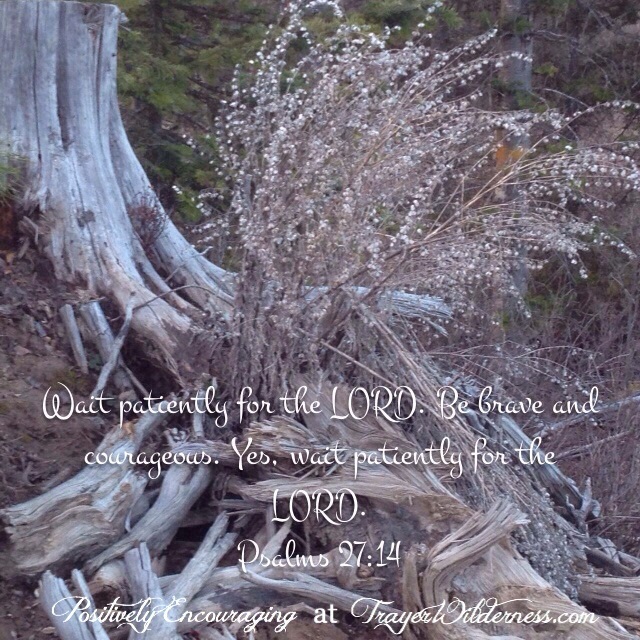 Great post of amazing encouragement… Blessings to you and yours as well my friend!! I would like to wish you all a very blessed Resurrection Day! I hope you all survived your week with grace! It was a crazy last two weeks in our home, but God really shined in SO many ways!! I working wiser this year in an effort to work smarter not harder, the Mountain Man is busy with a lot of spring chores because our spring (we don’t usually have one) came early and the Mountain Boy is working on some custom leather work and his schooling, but God really shined on the Mountain Boy this week. The Mountain Boy will be taking his driving test this Friday so plese keep him in your prayers. As many of you know, our Mountain Boy is high functioning autistic. He has never ever used it as a crutch in his life and has always worked through the struggles that it may cause. Driving has been no different, for autistic people it can be really hard to do multiple things at one time. It becomes very overwhelming. Another struggle we have experienced is reaction time or lack there of. All of this played a roll in him driving and were things we needed to creativily address. He is doing amazing. He passed the written test last summer and we feel very confident that he will pass the driving test on Friday. The next step will be to teach him how to drive his 1951 Willy Jeep which is a 4 speed and will require yet another learning curve, but we are very faithful and enjoy watching God’s hand in all of this! I’d also like to share with you how God shined this week for the Mountain Boy. This week was his 2nd practice with the music team at church. He LOVES to sing and has the ability to remember every word to a song after only hearing it once, BUT being in front of people can be tough enough let alone singing in front of people which he has never done (other than with me and to our animals). The 1st night he sat on a chair up with the music team and he sang, but was reserved. He finally picked up the microphone to join in with everyone and they ended things for the night. So this week when we arrived he took the microphone and joined in still sitting on the chair, still nervous and reserved! They sang the 1st song and the pastor was surprised that he knew the song. I could see that he was getting a bit more comfortable so I motioned to him to standup and join them. I have to say he totally knocked my socks off when he stood up and not only did he stand up, but he ROCKED IT!! It totally brought tears to my eyes and they are welling up as I write this! This is coming from a young man who did not really start speaking clearly until he was in between 8 & 9 and has been uncomfortable in front of crowds and people!! This was so huge and he was singing his heart out an closing his eyes to Jesus!! WOW – does God work in amazing ways and I TOTALLY see God using my young man’s voice to reach people!!! Wooohoooo – so that was my excitement for the week that will stay with me FOREVER! How did God work in your life this week or that of you families? Now, let me move on to the task at hand here…. I’d like to thank Kristi from Family Home and Health for sharing her incredible post written by her guest contributor, her father, titled Healing Faith and Cancer. What an incredible post on Faith and it is such an important perspective and one we hold up very strongly and with a passion! I feel that the closer we walk with the Lord the more he will show us and the more he will provide. Being faithful is the first step in my opinion. Trusting something we can not see, but know is present and very active in our lives. Kristi thank you for sharing and also thank your father for his wonderful insight on the subject and his story! This really hit home because we have a friend going through cancer right now and he is KICKIN’ it and it too is because of his STRONG faith and his many prayer warrior’s. The Power of Pray is another very important aspect in things too… Kristi, blessings to you and yours!! As always, I would like thank each and everyone of you for sharing your posts! There are great meal planning posts, recipes, inspirational, information on goats, growing great tomatoes and SO on…. So please be sure if you haven’t to check out what was shared last week and learn from one another! I really appreciate you all being willing to take time each week and share with myself and everyone! May each of you have a blessed week and I look so very forward to your shares and communications!